Spend half a minute in the company of Inland Northwest actors, whether professional or amateur, and you’re bound to hear them mention the name Troy. That’s it — just Troy, a mononym like Madonna or Morrissey, casually and inevitably dropped into conversation. The assumption is that the surname, Nickerson, is superfluous. 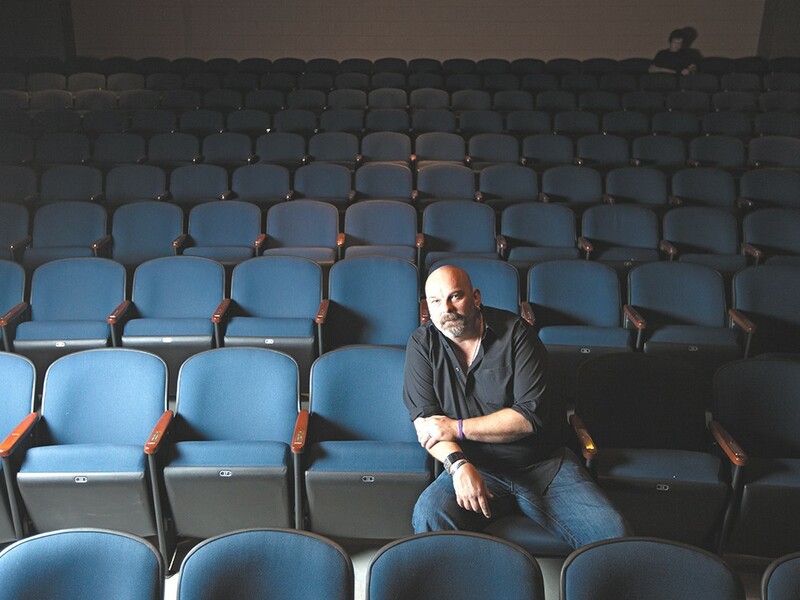 And that assumption is usually valid, especially among this region’s close-knit theater community, which Nickerson, now 47, has been a part of since his teens. “I did theater and danced as a kid,” says Nickerson in a voice so soft-spoken that his words are muffled by an ambient breeze. His first show at the Spokane Civic Theater was at the age of 13, and it wasn’t long before he’d jumped from acting to choreography and finally to directing, starting with Joseph and the Technicolor Dreamcoat. “Steadily” is at once the operative word and an understatement. Nickerson estimates the tally of shows he’s helmed is somewhere in the nineties — many of those while still holding down his day job as a stylist at Frenz Hair Design. In the not-too-distant past, it was rare to see a season at the Civic that didn’t feature multiple Nickerson-led productions on the main stage. Around the end of 2012, at the height of the exodus of longtime Civic cast and crew due to the increasingly fraught creative atmosphere there, Nickerson’s name frequently began appearing on other playbills, primarily at Lake City Playhouse, where he has overseen acclaimed productions of Rent, K2 (which went on to compete regionally, then nationally in AACTFest), and Into the Woods, starring other Civic émigrés like Andrew Ware Lewis and Abbey Crawford. The quality of those productions made it clear that Nickerson’s reputation among actors as well as theatergoers doesn’t rest on his longevity alone. He has a knack for spectacle that comes across as effortless and unostentatious, although his priorities have changed over time. Like the actors who omit his surname in conversation, Nickerson holds some things to be universally understood. In this case, it’s the death of his husband, David Gigler, of a heart attack in June 2012. The event continues to affect him in a way that, in his capacity as a director, any shift of emphasis from spectacle to substance seems like an inexorable one. “I was able to do so much, and part of that was because I had someone in my life who picked up the slack. So when that was gone, I didn’t realize it right away, and I jumped right back into those shows: Woods, K2, Bat Boy. And it was tough. I want to slow down a little bit,” he says, though it’s doubtful that this means his forthcoming shows will forego their customary lightning pace for leisurely philosophical forays.